Sharkarosa? What? Is it an aquarium? I wasn’t sure what Sharkarosa was when I was asked to chaperone my daughter’s field trip to this place. But…whatever it was, I knew I wanted to go. I think every field trip with my kids will result in a fun and exciting blog post! Right? Or at least a very exciting day filled with stories for the dinner table. Here’s what I found… Sharkarosa Wildlife Ranch offers you the opportunity to experience rare and endangered exotic wildlife in a unique and personal setting. What better way to learn about different species than by seeing them up close and hands on? Sharkarosa is a wildlife ranch that is about an hour north of Dallas (about 40 minutes from where I live)! I don’t venture that far north very often, but I’m sure glad I did for this field trip! What a great adventure. Who knew I could encounter so many wild animals so close to my home? Sharkarosa is a 126 acre educational park that offers field trips and private tours, and it is open to the public on Saturdays and Sundays. You can also rent out spaces for different events. What a fun idea! I know a little girl who would sure enjoy having a birthday party there! I’m always a little concerned when I have a group of children with me, and signs like this are posted all over the place!!! Getting in this little barrel train was easy. Getting out though…a bit of a struggle! 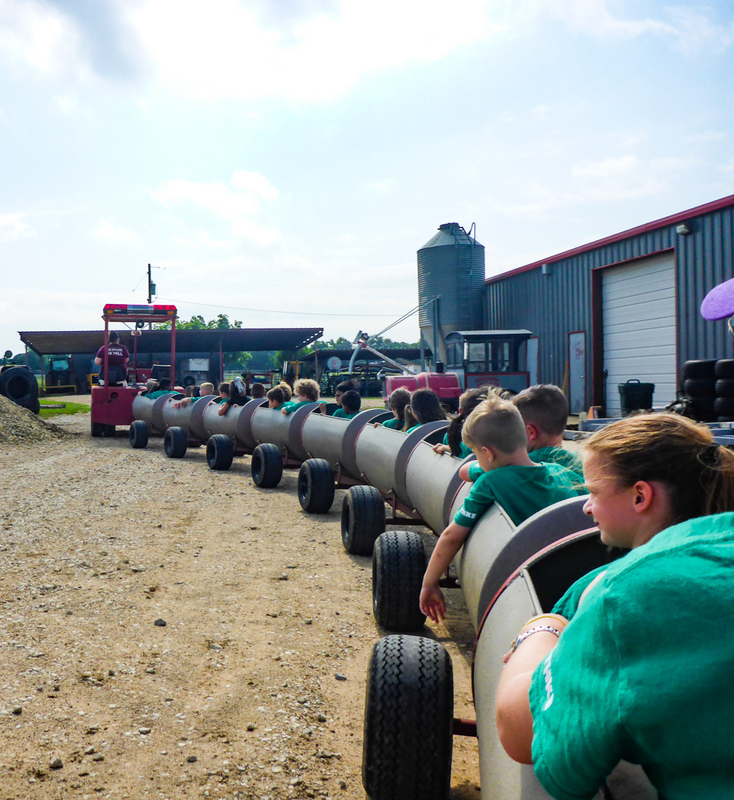 After the Kangaroo/Wallaby adventure, we headed over to the Barrel Train for a short ride through the park. This was a fun little adventure for the kids (and me). I was one of the few adults who let their kid talk them into boarding this train. Just look at the picture – I’m sure you can imagine that getting in and out of this thing was not an easy task. I’m just glad no one was videoing this portion of the field trip… It was a fun little ride that circled the park so the kids could look around. We even did a few donuts at the end of the field. 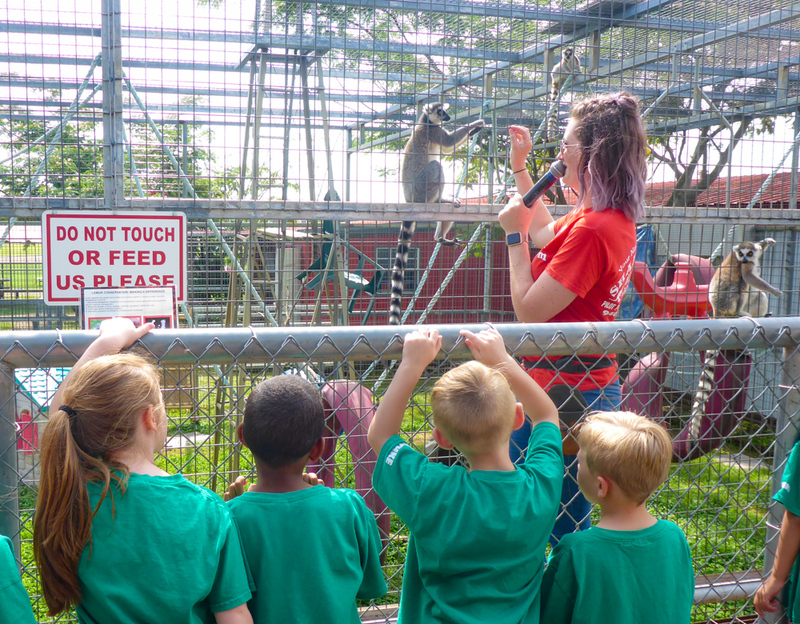 We left the Barrel Train and went to a very impressive Lemur cage with a nice elevated platform for the kids to stand on and watch the lemurs while another staff member told us all about the Lemurs in the pen. We learned their names, their personalities, and that they love food. The woman in charge of this part of the tour fed them the entire time she was teaching us about them, so they stayed close by. The kids had a great up-close view of the animals, as they followed her back and forth climbing along the fence. The kids loved every minute of it. It was so nice to be at a place that was set up so the kids could actually see the animals. Not only could they see them, but they were close enough to touch them (we weren’t allowed to though). See the sign in the picture?? Once again, I was so taken with watching the animals, I did not hear all the cool facts she was sharing with us. But, there is an abundance of cool information on the National Geographic website – they have a whole section dedicated to ring-tailed Lemurs! And one of the Lemurs was pregnant, so if you visit soon, you might get to meet her babies (they think she is having twins)!! This picture is a bit blurry, because as I leaned in to get a picture of her touching the snake’s tail, I realized that the snakes face was right in front of mine – I took the picture as I was jumping backwards!! 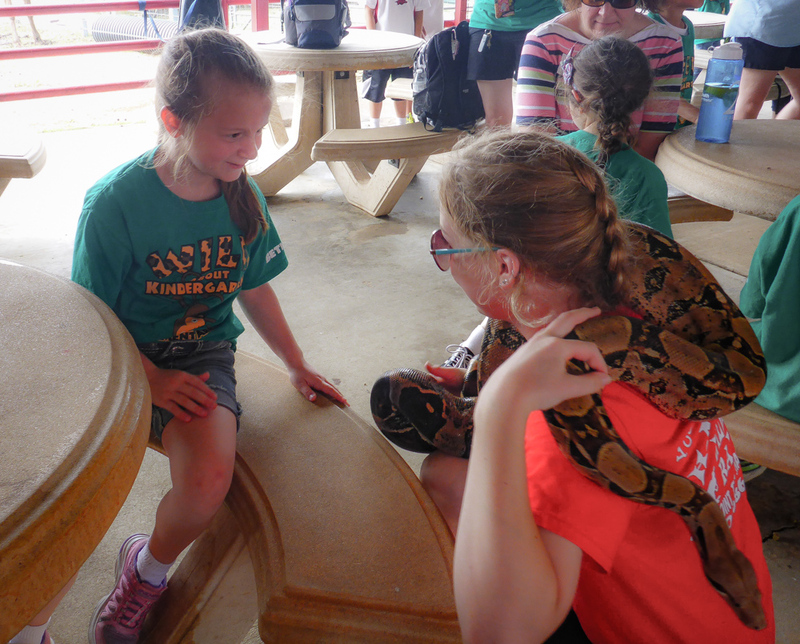 My least favorite part was the giant red-tailed Boa that we got up close and personal with in the pavilion! No thanks… If you’ve read my other blog posts, you know that snakes are not my thing – you may have read about it in my article called Painting Snake Cages? Is That Really A Job? Yikes… Sorry the picture of Morgan and the snake is blurry – read the caption and you will understand why! We took a short break for lunch, and then headed off to the Safari Tram. I couldn’t imagine what this was exactly. I mean after all, we were still pretty close to Dallas. A safari? Really? I know what that means if you’re in let’s say…Africa, but Pilot Point, Texas? I’m not so sure. We climbed aboard this long train-like tram that was being pulled by a tractor. The sides of each car were like a chain-link fence (to keep us inside) with buckets attached. Hmmmm… It’s like we were in the cage now. This was getting interesting. Before “take-off,” they lift those gates to shut us in. They hang the buckets on the outside of the gate. We drove along for a few minutes, and saw the beautiful landscape and some animals in the distance. 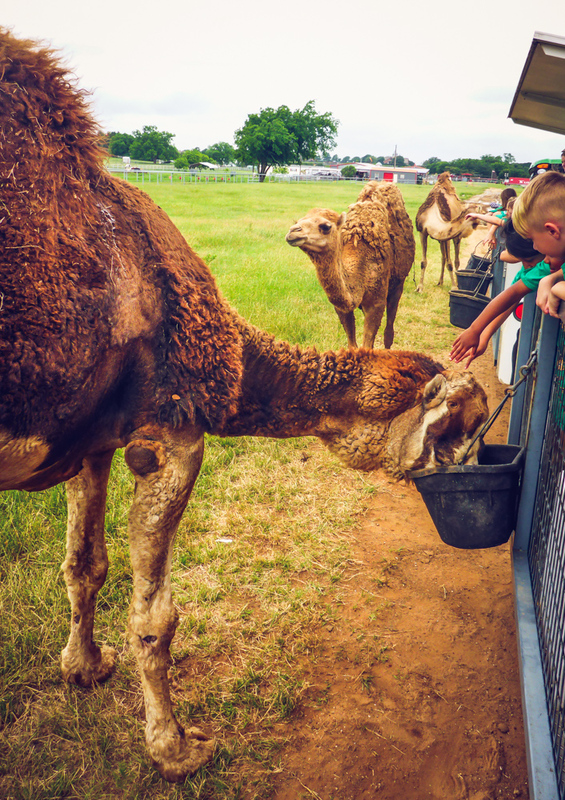 As soon as we passed through the first gate, I understood… The buckets on the side of the tram cars were filled with feed – – yes…the animals were going to come right up to the tram to eat! 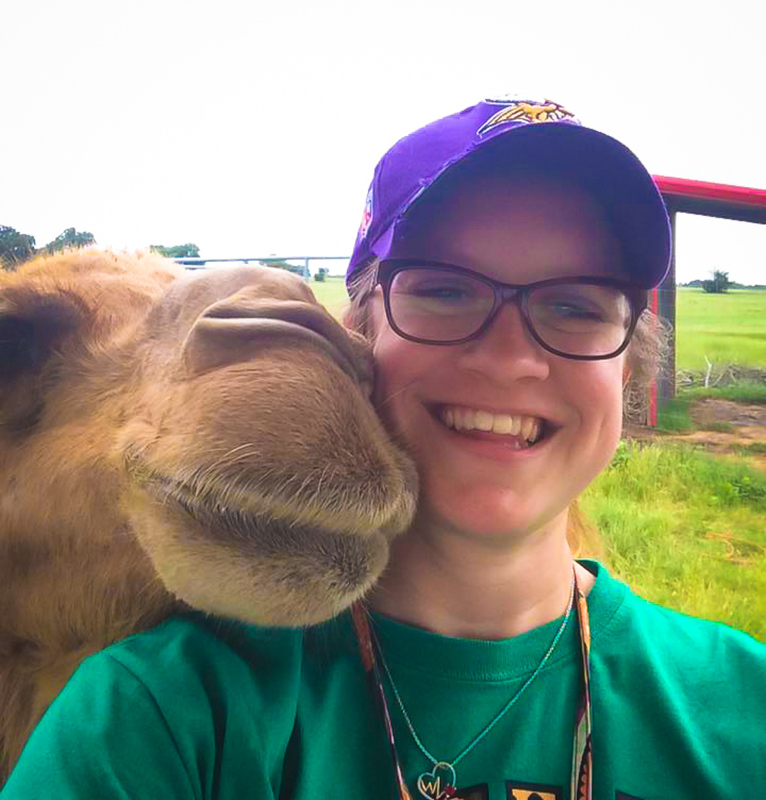 I didn’t want to get too excited, because if you’ve ever been to a zoo in Texas, you know that sometimes the animals don’t come out much because of the heat. They stay well-hidden in whatever patch of shade they can find. Well…it was not terribly hot, and the animals must not have been fed for days! They came charging towards the tram, and all I could hear were the screams of delight from all of the kiddos! 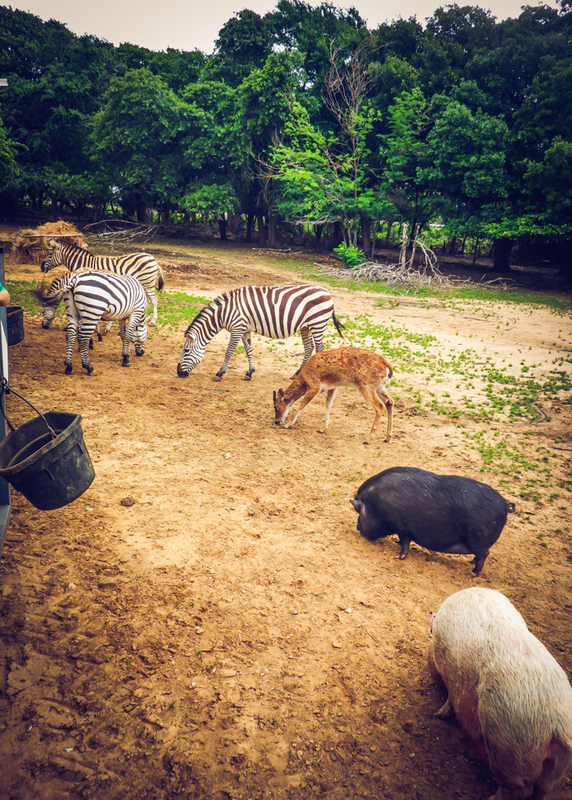 As you can see from this picture, the animals come right up to the side of the tram to eat. Seems like every time I leaned out to take a picture, another camel came up beside me! 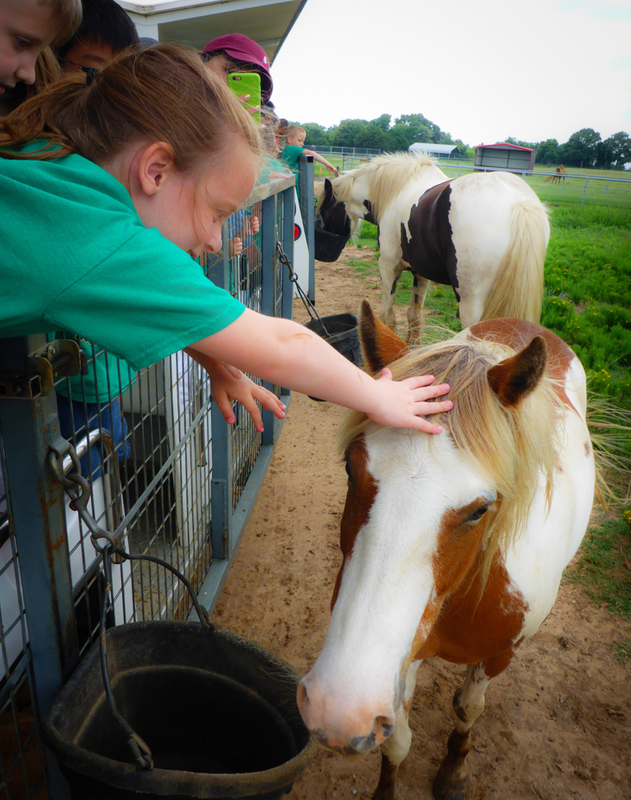 Morgan loved the horses. I thought she was going to climb right out of our “cage” and ride off into the sunset on one of the horses! I was ready with my camera in case that happened! This was our view from the Safari Tram! Animals EVERYWHERE! For these animals, they just threw feed on the ground so they would come close. Couldn’t pet the Zebras – they bite! Okay…is there ever going to be a better selfie? Morgan’s teacher made a new friend on the tram, and this is their selfie! Most excellent, right? This playground had a very tall metal slide (yes…hot metal), a merry-go-round, an old-timey jungle gym, and a row of about 12 swings. I felt like I was 7 years old playing at my school’s playground. And if you are out there on a weekend, be sure to visit The Bear’s Den! The Bear’s Den is a restaurant that has giant ovens to cook gourmet pizzas along with some other foods as well. There are 180 seats in this indoor/outdoor restaurant, and it is is also the home of Barnaby and Bailey – two rescued black bears that dine with you. Just five feet off the dining deck you will see the two 400 pound bears enjoying their meal with you. The website says From the ancient ovens to the full bar the Bears Den is one of Denton County’s finest restaurants, and rest assured part of the proceeds are used to help rescue more animals all across the United States. Here is one of the bears – not sure if it is Barnaby or Bailey, but they have a great habitat and are very easy to see! 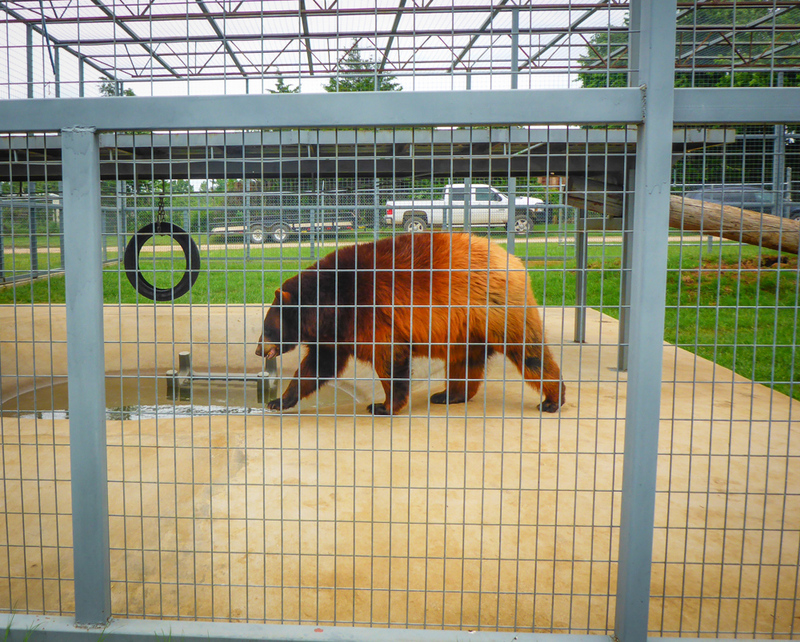 If you visit The Bear’s Den website, be sure to watch the news story from Fox 4 News – it tells you all about the bear habitat and how the restaurant came to be. Unfortunately, on the field trip we did not get the opportunity to dine with the bears, but guess what – – I will be heading back out there at some point to check it out! Tinker Crates…A Toy for the Young Scientist in Your House!